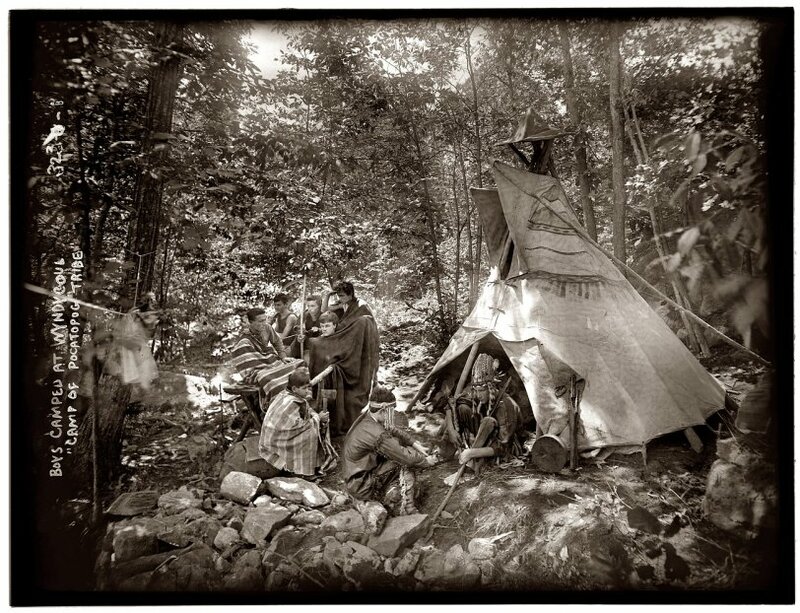 "Boys camped at Wyndygoul, the camp of the Pocatopog tribe" circa 1908. View full size. 8x10 glass plate negative, George Grantham Bain Collection. Submitted by Bill McNutt on Tue, 12/22/2009 - 9:22am. I was a scout back in the '70s and '80s, but somehow I think I missed something not Scouting in this era. Submitted by Anonymous Tipster on Sat, 08/25/2007 - 11:51pm. What a joyful bunch -- the kid with the hatchet looks like he wants to use it.